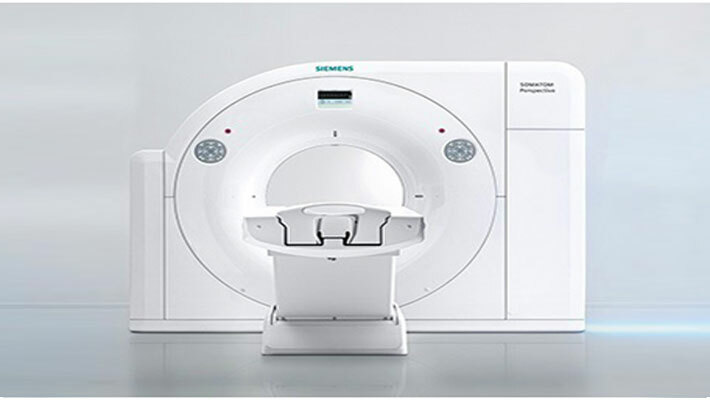 Must & More, Delhi is now equipped with a modern 128 Slice CT Scanners to diagnose all types of illness in the body. CT Scanners and their specialists Provides highest level of accuracy. These latest machines are well capable of carrying out cutting edge coronary Angiograms (Heart scans, Pulmonary Angiograms, Brain Angiograms, True-match imaging etc. One of the India's first multi detectors CT is introduced by Must & More to perform Non-invasive CT Coronary Angiography. The expert group of Must & More is experienced and well equipped with multiple scanners ranging from Spiral to the highest and multi detector CTS. 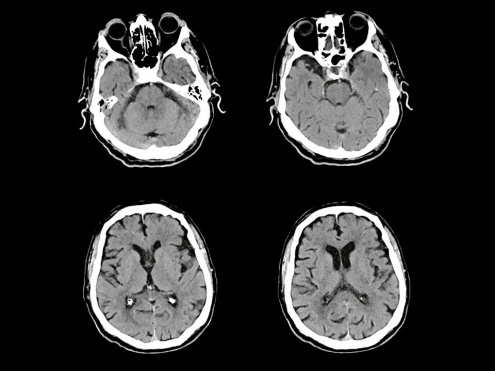 In addition to the all routine CT Scans which are done using thin 0.625 mm Slices with volume acquisition and isometric reconstruction can be obtained in any plane. The routinely execution of 3D CT examinations, Virtual Colonoscopy, Virtual Bronchoscopy and through body scanning are done by avant grade technicians and specialists. We charge at exceptional nominal rates for all these high quality machine examinations because we believe in helping the patient. The advance technology of this machine provides the expertise of executing Non-invasive CT angiograms of the pulmonary imaging, multi-organ trauma evaluation and configuration increase clinical capabilities to the highest level attainable. SOMATOM perspective can detect very small diagnostic details with its special and one of kind interleaved volume reconstruction (IVR). It is purely based on a well known platform that enables high-end imaging at extremely low dose. The Fast Care Technology and innovative feature of SOMATOM perspective helps in boosting Patient-centric productivity. Rapid Cardio wizard supplies step by step guidance for all Cardio examinations. It just doesn't increase reliability it also boosts reproducibility. ECG check and Cardio Best phase automatically identify the best arterial phases. SOMATOM perspective can also be equipped with the iterative temporal resolution improvement method (ITRIM) algorithm, for a temporal resolution as low as 195 msec. To differentiate material during a CT scan is a major challenge. Sometimes presence of metal artifacts can cause severe difficulties when imaging his implants or complicated fractures. To deal with this issue Siemens has come up with single source dual energy (SSDE) technology. 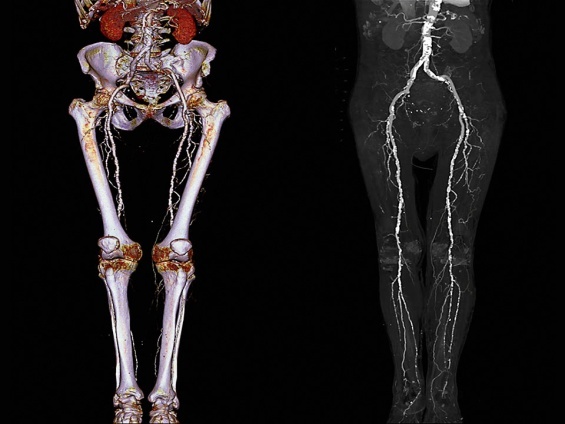 This technology provides valuable quantitative information to the morphology of conventional CT scans. 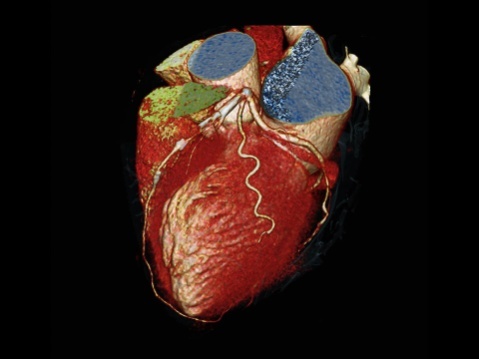 This feature has many uses in conventional CT scans. This feature has many uses in clinical fields like imaging kidney stones or verifying gout diagnoses. Every SSDE examination is as easy as normal scan without any additional hassle. Sinogram affirmed iterative reconstruction (SAFIRE) brings the full dose saving potential of iterative reconstruction to clinical practice. 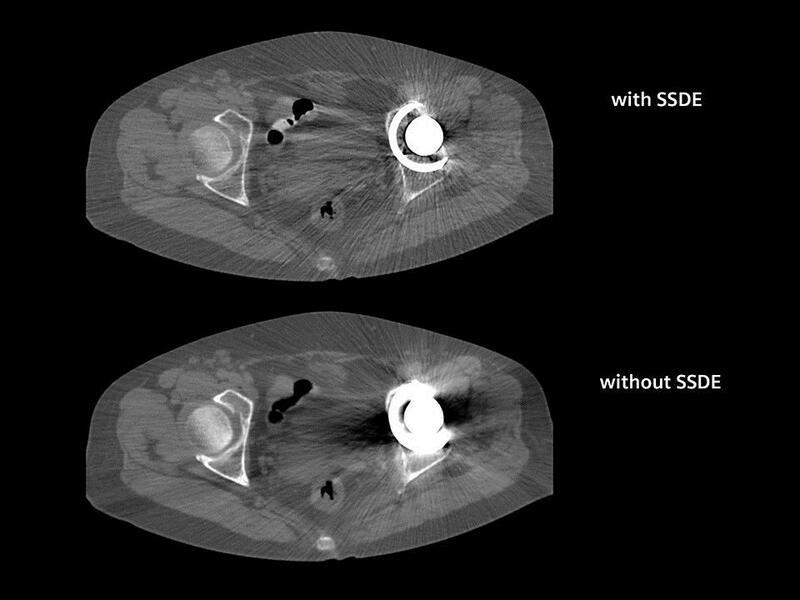 SAFIRE - Siemens first raw data based iterative reconstruction can reduce radiation dose by up to 60% and improve image quality in regard to contrast, sharpness and noise.